We are offering this Patriot Edition as a limited offering. This changes the small adapter plate to a Blue Anodized Color and arrives as a Red, White & Blue Jig. The all Red Anodized Product will not be available until further notice. The new Modulus Arms Router Jig Extreme™ is the fastest to use, highest quality, most universal 80% lower jig on the market. Don’t just take our word for it, see for yourself risk-free with our 100% money back satisfaction guarantee*. If you don't love our jig, we will give you a full refund! The Router Jig Extreme™ comes in one fully universal model that fits *all AR-15, DPMS style .308, and AR-9 lowers. There is no need to buy any extra add on parts for .308 compatibility. The standard model is fully universal right out of the box. Modulus Arms invented the first fully universal router jig, and we’ve once again raised the bar. The SpeedMILL™ is required for use with the Modulus Arms Router Jig Extreme™ and is not included. Previous generation Modulus Arms end mills will not work with this jig for your 80 lower build. The fastest 80% Lower jig on the market, capable of finishing an AR-15 80% lower in a record setting sub 15 minute time. Switch between AR-15, AR-9, or .308 lowers in seconds. All wear surfaces are made with hardened steel. Our router attachment plate uses a proprietary one piece solid guide pin system to trace fire control group pocket profile guides, ensuring the end mill never touches the jig. This eliminates wear - extending the life of your 80 lower Router Jig Extreme™. The Router Jig Extreme™ utilizes a heat fit (a.k.a. shrink-fit) end mill holder which provides increased rigidity over a standard length carbide end mill. 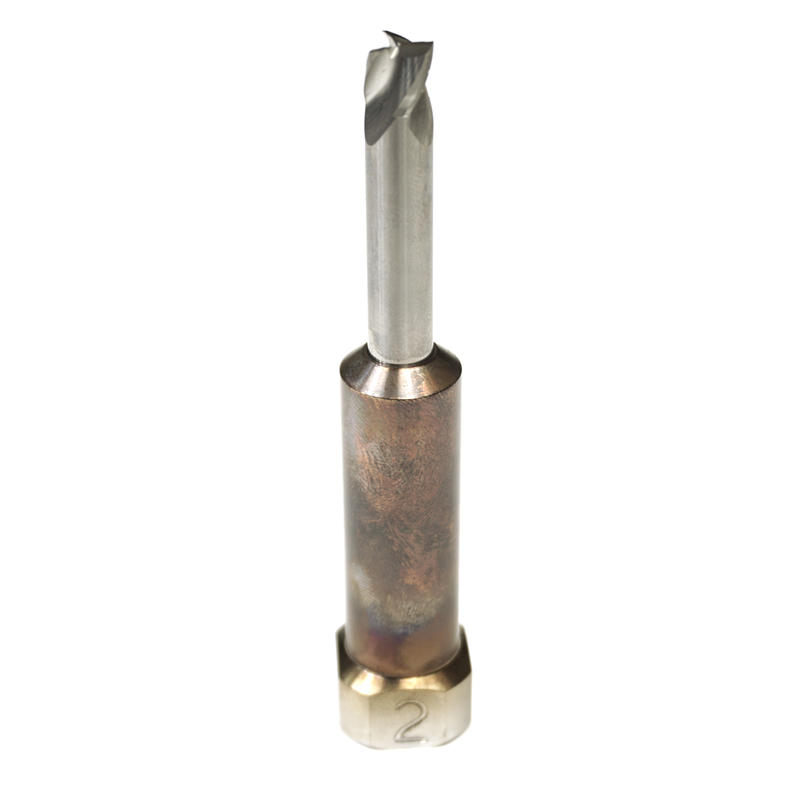 1.5 in thick no-touch side plates keep your drill bit stable when drilling with a hand drill. Only 1 hole needs to be drilled before milling. Patented integrated depth gauges tell you how deep to mill and eliminate the need for any measuring. Patented integrated vacuum attachment allows you to attach a standard vacuum hose, greatly reducing the mess created by chips. Easy to follow illustrated instruction booklet included. Router Jig Extreme™ requires our SpeedMill™, a proprietary shrink fit end mill for use. It is available as part of our complete tool kit, or individually on its own. You can also add it to your order by selecting the correct version above. Protected by multiple issued and pending US Patents. *It is possible that some very rare, oddly shaped non-milspec designs won’t fit. In the unlikely event your lower doesn’t fit, you may return the jig for a full refund.